On February 18th, 2013, I decided to share with the world my thoughts on the Original Silhouette Cameo. So as anyone would do, I grabbed my phone, set the Cameo up on some plastic risers and hit record. I was so excited to upload my very 1st YouTube Video. Now if you have not seen this gem, well you can watch it by CLICKING HERE. Fast Forward to 2017, and compare it to my recent review video of the brand new Cricut Totes Video. WOW, what a difference. Now, as I grew my technical skills on video production, I also saw my YouTube Channel grow along with me! 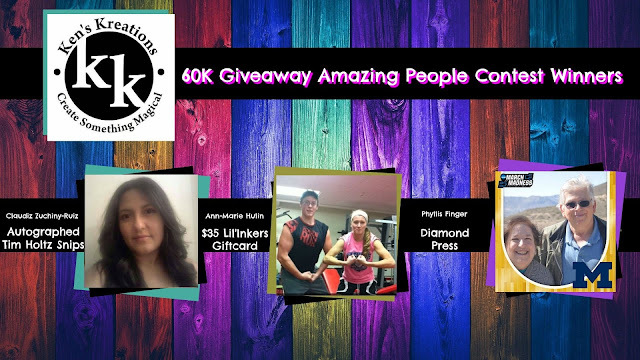 Before we announce the third giveaway in our Ken's Kreations 60K Giveaway, let's announce who won our Tim Holtz Autographed Snips, Diamond Press and $35 Lil'Inker Gift Card. I am a HUGE fan of the MISTI. before this tool came out, I was not a huge stamper. The MISTI changed all of this, as now I was always guaranteed to get a good stamp. The MISTI also gives you the ability to use a bunch of different techniques that I covered in THIS VIDEO. In fact if you should check out theses posts where I covered this amazing tool! Now the MISTI can be used with really ANY stamps. 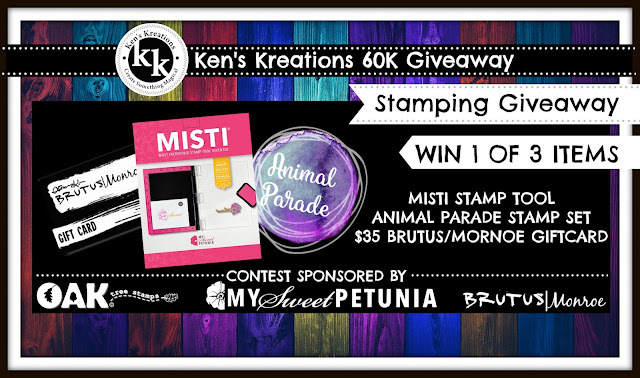 So I thought it would be fun to partner with two stamp companies to go along with the MISTI. OAK Tree Stamps is a new stamp company that recently released a new 17 piece Interchangeable Stamps Set Called Animal Parade. This is a stamp company I created with my friend Omar Toro of Awesome SVG's. I also have teamed up with BrutuslMonroe on an amazing giveaway. 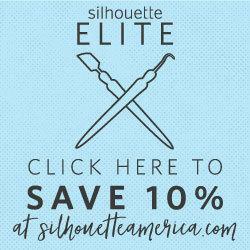 This company is offering a ton of different ways to use craft mediums in your projects! I am so excited to share with you some of my FAVORITE craft items over the next 18 days! You will want to make sure you are checking back to my these main social media sites to find out who the winners are and what contest theme will be next!!! I cannot express enough how much I adore all of you and the support you have given Sean and me over the past 3 years! I truly know that I would not be here without all of you! 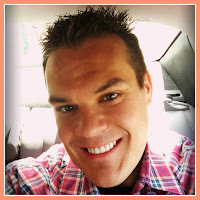 Remember caring is sharing and I would love for you to share this post.  Don't forget you can support Ken's Kreations by shopping though any of the links on this page or following my social media channels.